Fast bowlers are naturally aggressive….It’s a cliché that commentators talk about quite often. But quite a few bowlers have gone on to prove that this statement is more than just a cliché. There have been many instances when the bowlers have tried to show dominance over batsman not just by their bowling skills but rather by the uncongenial attitude towards batsman. There are quite a few bowlers who don’t seem to have any mercy for a batsman hitting them out of the park. And the batsmen are also aware of these bowlers and their short temperaments. 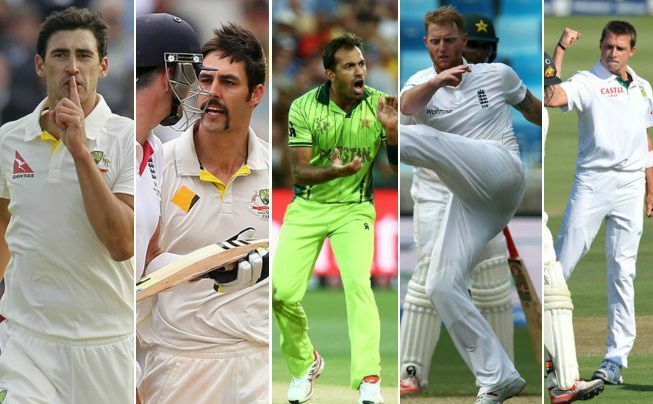 Let’s take a look at the currently playing bowlers having very fragile temper. 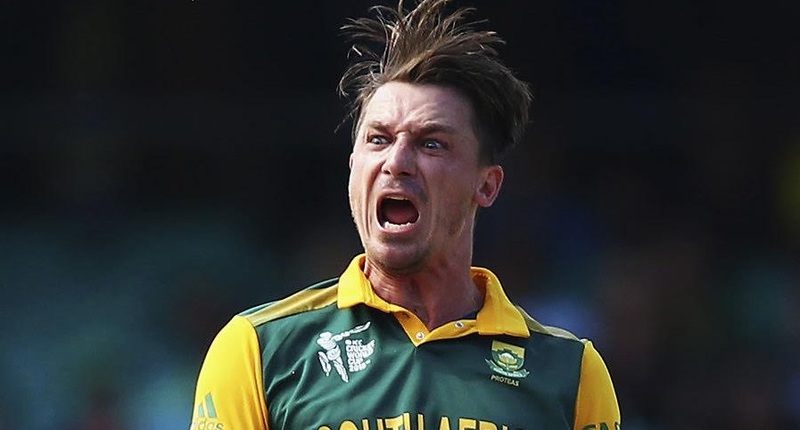 Arguably the most complete and the best fast bowler in the world Dale Steyn has stamped his authority on the batsmen all across the world irrespective of the territory they are playing in. He has intimidated many batsmen in the world with his fearsome pace and bounce. He has run through renowned batting orders and his flare and aggression is known to all of us. But sadly in pursuit of aggression, at times you would see this man crossing all the accepted norms of sledging. Giving crazy stares to the batsmen, few contumelious words and throwing the ball in the line of the batsman are some of the acts that he does. Although there have been numerous instances of Dale Steyn going wild at the batsman but the most awkward of them happened at UAE in Sheikh Zayed stadium in Abu Dhabi. Pakistan was batting against South Africa in the 1st test of series in 2013. Pakistanis were going along nicely and none of the South African bowler was able to trouble Khurram Manzoor thanks to the typical sub continent wicket with no grass and no bounce. And if all this was not enough to frustrate Dale Steyn, then combine the blistering hot sunshine to it as well. Hence Steyn got carried away in the heat of the moment and directly hit the batsman with the ball. This is very unusual thing to happen in gentleman’s game. But never the less this incident speaks volumes about Dale Steyn’s nature. Left arm fast bowlers are always awkward customers to deal with because of the irritating angle that they create for right handed batsman. Tall and strongly built up bowler form Australia is known for his in swinging banana balls to right handers. And to make the life of the batsman even more furrowed, Mitchell Starc will do all sorts of crazy things that a bowler could on the field of cricket. The famous or rather an infamous incident took place in IPL 2014 during the match between RCB and Mumbai Indians. The batsman on the striker end was no one else but a than T20 dynamite Kieron Pollard. And when these two players are present at the 22 yards then it’s only a matter of time before something awkward happens. Pollard had played an elegant stroke off Starc towards square leg and there was misfield at the boundary line which meant that Pollard came back for the 2nd run. This was something that charged Mitchell Starc and the next delivery form Starc was a typical fast bowler’s response. A smearing bouncer was very much on the cards and so was the exchange of words between the two. But what happened next was a complete spectacle as far as the fans were concerned. In the next ball, while Starc had almost reached into the delivery stride, Pollard backed out at the very last moment, which meant that Starc after doing all the effort and exhaustion of completing run up had to pull out of delivery. But rather than turning back, Starc venomously threw the ball at Pollard which narrowly missed him and then Pollard reciprocated with throwing his bat at Starc. But all in all this was a clear manifestation of what happens when fast bowlers lose their temperament. He has pace, he has intensity, he has stamina, he is agile and he gives you adrenaline rush. Yes he is Wahab Riaz. He remained in wilderness until 2015 world cup. This was the time where dramatic chain of events took place which transmuted Wahab from an unsung hardworking cricketer to fast bowling titan. But a more erratic change that took place in Wahab Riaz was regarding his ability to keep himself cool after being smashed for a four or six. Gone are the days when Wahab used to appreciate the batsman for crafting out a stroke of brilliance. He has developed a reputation of a tiger that after being cornered would lunge forward to attack. But in the process, he is often spotted as doing something extremely irrational and something which is a disgrace to the gentleman’s game. The most recent piece of insanity occurred in a Pakistan Super League’s game between Peshawar Zalmi and Quetta Gladiators. Quetta had got off to a flyer, thanks to Ahmed Shehzad’s blistering display of stroke playing and hitting the ball from the sweetest spot of the bat. The man hails from India. Normally fast bowlers from India are not renowned for anything else but bowling wide half volleys in initial overs, long hop in middle overs and full tosses in death overs. But this man adds something more to this list of shame and that is a very hyper attitude which gains unprecedented momentum after picking up some wicket. He unlike other Indian fast bowlers did not put his head down after being hit for a six or four. Rather he would glare at the batsman and would give you very strange facial expressions. But the main reason he is featuring in this article is his unique celebration after picking up a wicket. Rather than taking the frustration out on the batsman, he chose the most unlikely victim. Yes it was the pitch itself that got the beating at the hands of Sreesanth. Well it was the semifinal of ICC world T20 2007 between Australia and India. Sreesanth had earlier uprooted the middle stump of Adam Gilchrist and had absolutely celebrated the wicket like anything. But the real eye catching incident took place when Mathew Hayden became the victim of Sreesanth. This strange or rather ridiculous celebration happened on the turf of Kingsmead Durban. Sreesanth went absolutely wild after uprooting the timber and started beating the pitch with hands. This is very unusual for a cricketer to slap a pitch in this fashion. But again this is a reflection of the fact that fast bowler with such a short temper could go to any extent. English bowlers dominate the batsmen more often than not in their own conditions where they can do almost everything with the ball from conventional swing to awkward bounce. But these fast bowlers often struggle in the subcontinent conditions. Blazing hot sun, rough outfields, irritating crowd and dead wickets are the few elements which add to their discomfort. And to make the matters worse, the batsmen often are playing so smoothly without any hiccup and are motoring along nicely. But if all this is not enough then even more irritating thing for them is when batsmen is occupying the crease for such long time and is blocking and defending comfortably. And this is something which makes a bowler lose his mind. One such thing happened in Dubai in a test match between Pakistan and England. Misbah-ul-Haq was the batsman who is renowned for neutralizing the bowling attack with his impeccable defense and rigid technique. 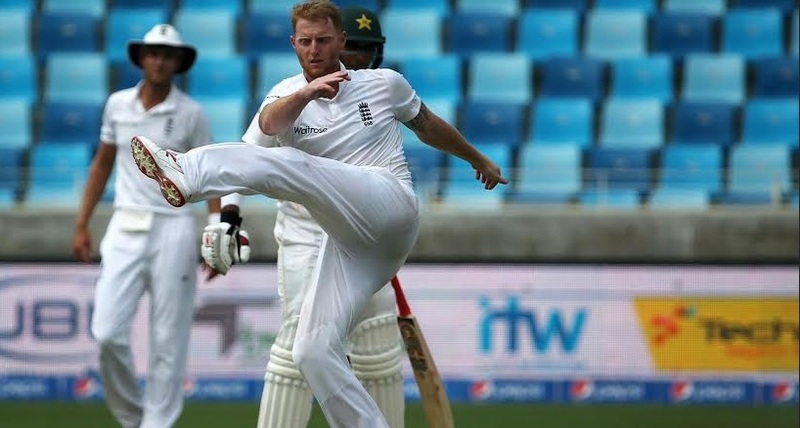 And this situation made Ben Stokes lose his cool when none of his tactic was able to unnerve Misbah and he was unable to get through his defenses. And ultimately he egested his frustration by shouting at Misbah and trying to scare him by throwing bowl toward keeper.